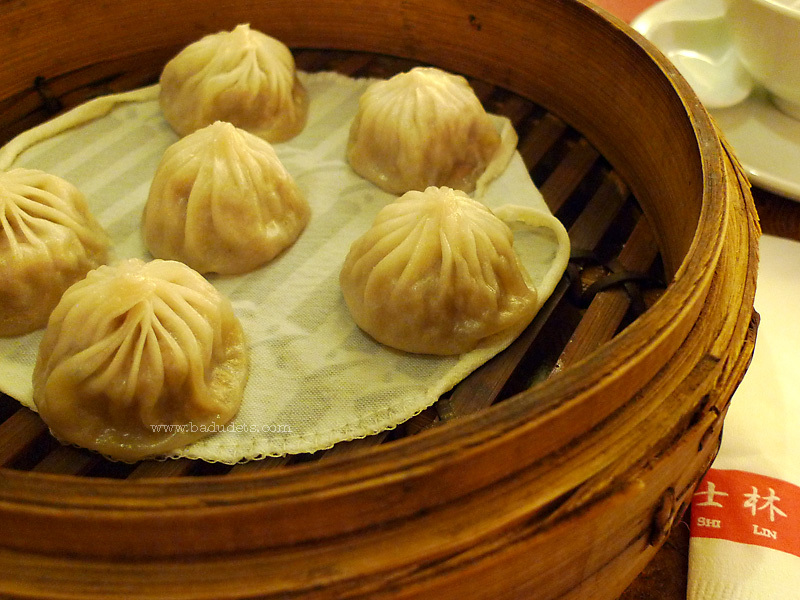 xiao long bao | Badudets Everything Nice! It was a long night for us last Friday, we stayed at the memorial park until midnight and just slept for a few hours. So on Saturday, after having lunch at our friend’s house, we headed to Alabang Town Center to pass the time. Gwen played a bit at McDonald’s play area before proceeding to even more rides at ATC’s activity area where Timezone’s kiddie games are located. After a few rounds in the mall, it’s time to eat! We wanted to try a new ramen joint in Westgate for my birthday, libre daw ako ni Jeff :p, but I said to just choose from the restos in ATC since we’re already there. 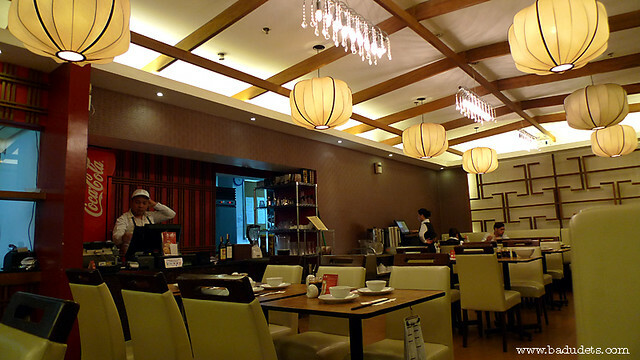 We chose from the rows of the restaurants in the Garden Wing starting from Ikkoryu Fukuoka Ramen, Crisostomo, John & Yoko, and Shi Lin. It’s my birthday and I get to choose what to eat, and I chose Shi Lin because I want to eat Xiao Long Bao. We went around 4 pm and there were only 2 or 3 occupied tables. We were promptly seated at the couch. 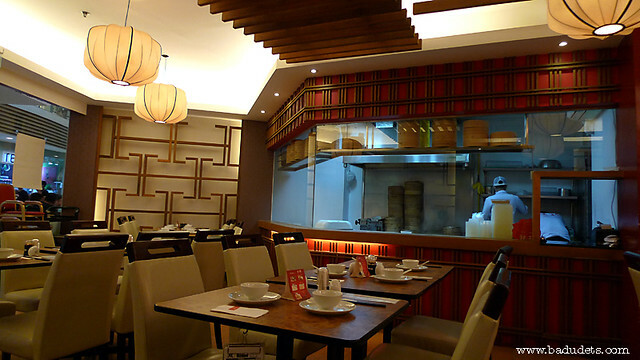 I like Shi Lin’s modern interior, with just a hint of oriental touch. There’s a glass where you can see the kitchen and the staff making your dumplings. Without even looking at the menu, I’m decided on my first order, Xiao Long Bao. The server went ahead to tell our order to the kitchen and just went back to get our other orders after scanning their menu. First in, first out. Six pieces of piping hot Xiao Long Bao housed in a larger than usual steamer basket were placed in front of me. It’s like putting a birthday cake and letting me blow the candles. I scooped out one dumpling in my spoon, pierced through its skin and delicately sipped it’s soup. It’s not as soupy as I expected but it’s tasty I don’t even have to dip it in my vinegar/soy sauce/chili garlic combo. Oh and the meat, it’s so juicy and soft I’m struggling for them not to break when I dip the meat. 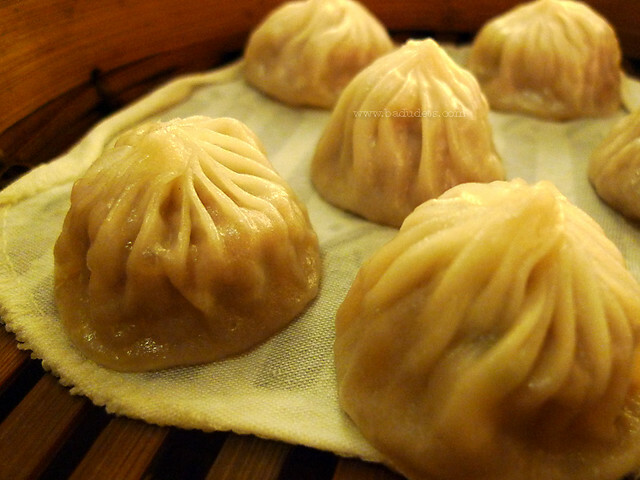 The Xiao Long Bao’s skin has a bite to it but I like munching on them even it’s thicker skin on top. I also ordered the Shrimp and Pork Shaomai. Photo on the menu looks inviting but what arrived lacks color from the shrimp. It’s not as plump and big too. This is called such because shrimp goes on top and the pork is inside. It turned out that like the Xiao Long Bao, it also has a soup inside. Same issue with the skin, thick on top that holds the shrimp. Jeff had Noodles with Vegetables and Pork Wonton. I was doubtful at first if Jeff will like something with clear broth. I first suggested the Braised Beef Noodles but he insisted on this, okay walang sisihan. 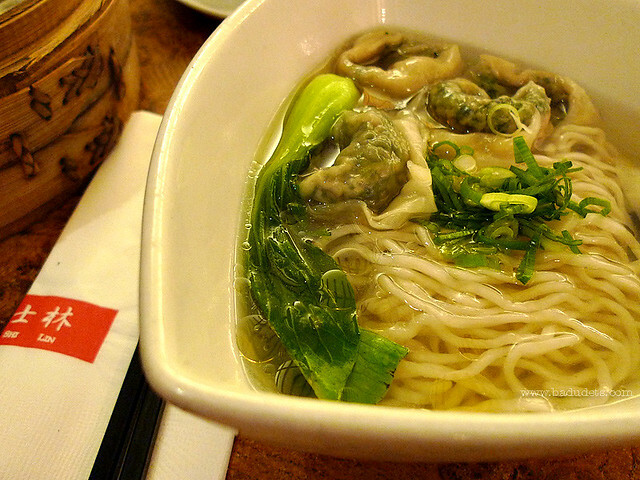 Surprisingly, the broth is very flavorful sans the appetizing color. The egg noodles were cooked with just the right bite. There’s a hint of sesame in the soup but it doesn’t overpower the taste. The vegetable dumplings didn’t add any flavor to the soup, though. Overall, I like how this soup left a clean taste on my palate. 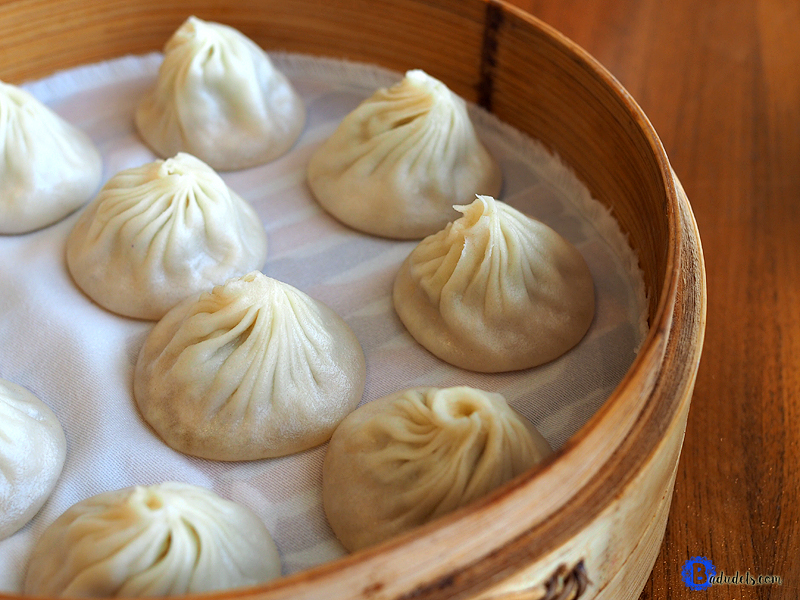 Just for the Xiao Long Bao and the noodles, we will definitely visit and try other dumplings at Shi Lin.